How much should I budget for a weekend in…Budapest? - Has Anyone Been To...? Budapest has all the romance of Paris, the grandeur of Vienna and the nightlife of Berlin, but can be enjoyed at a fraction of the price. Flights: Return flights from London to Budapest tend to cost around the £75 mark. It’s most expensive to fly on Friday and return on Sunday, for obvious reasons, but you can still get some excellent deals flying on Saturday and returning on Monday. Easyjet, Flybe, British Airways, Iberia, Norwegian, Wizz Air and Ryanair all fly here and compete hard to offer the best fair. August is the priciest time to go, with flight prices currently at £160 return. A shared room in an 8 bed dorm can cost as little as £9 per person per night, but a small apartment stay can also be as little as £14 per person per night, and I know which I would rather stay in. The added bonus of an apartment stay is getting to see inside some of the grand old town houses that peer down along the streets. A mid-range hotel room in a central location will set you back about £55 per room per night, while a 4* hotel will be more in the region of £80 per room per night. For one of the really grand old 5* hotels, you’d be looking at £200 per room per night, but you can’t get much more luxurious. Please be aware there is a city tax in place in Budapest that is only payable upon arrival. At present this is 4% of the cost of your room. Hungarian mushroom goulash with sour cream; photo courtesy of Leon Barnard. Budapest has a wide range of places to eat at, and the prices start cheeringly low. In a cheap cafe or traditional restaurant, a soup or stew will cost around 500 Forints (at present about £1.30) and a hearty, meaty main course up to 1500 Forints (£4). Set menus are also a great place to get excellent value, often giving three courses for 1000-1200 Forints. For a really good, 3 course meal in a nice restaurant in the city centre, with a beer, you can expect to spend 5,500 – 6,000 Forints, or about £15 per person. Cafe culture has a long history here, and sitting with a coffee and a cake is an almost mandatory exercise. If you can’t afford to have a posh dinner out, maybe go to town on a cake at somewhere like Gerbeaud Confectionary. It’ll easily come in at £10 for a cake and a hot drink, but it really is grand. Most other places that aren’t in chandeliered 19th century buildings will see your sweet tooth sated for nearer the £4 mark. Budapest experiences the full range of European temperatures, from very cold and often snowy winters to baking summer sometimes reaching 30 degrees Celsius. Rainfall is fairly consistent across the year, and you’re never to be certain of staying dry. If you’re after warm days, temperatures start rising quickly from April and drop away again swiftly at the end of September. Through July and August, the striking chain bridge is closed to traffic and hosts a small market, but the city can feel pretty crowded. In August, the city also hosts the Sziget Music Festival, so prices are very high that week. If you’re a winter person, you may have some attractions to yourself, just be aware you aren’t guaranteed beautiful, crisp white snow, but may encounter grey slush that does little except make it hard work getting about. However, the city does have some lovely ice rinks, an excellent range of Christmas foods and a world renowned Christmas market. For a small city, Budapest has so much to see and do that it’s a shame most people only visit for a long weekend. Firstly, the historical side. There’s Buda Castle and it’s environs for a start. This is perched on top of the hill, and worth a visit for a stroll amongst the historic buildings even if you don’t pay to go into the many museums and galleries up there. You are get some great views down onto Pest, over on the other side of the Danube, which includes the magnificently neo-gothic Parliament building. The Fisherman’s Bastion offers the best view of the city, and is also itself a beautiful set of balconies and turrets to visit, almost like a miniature Disney castle. Entrance to the balconies and 7 of the turrets is free, but if you want to get into the very top level you need to pay 800 Forints, or about £2.20. The Fisherman’s Bastion; photo courtesy of speedygroundhog. The large hill to the south of the castle district is also a nice place for a walk, with the multitude of winding paths through the trees to the top meaning you are likely to be the most free from other tourists on the walk than at any other time in Budapest. Halfway up the hill is a statue of Bishop Gellert, who was apparently rolled down the hill in a barrel by some angry pagans resisting his attempts to convert them. Right at the top, with unsurpassable views across the city, is the statue of liberty. This was built as memorial to the liberation of Hungary from the Nazis by the Soviets. While most of the Soviet statues in the city have been removed from their prominent locations to Memento Park, the statue of liberty remains, although the soviet names and references have been replaced with more general paeans to freedom. Also on Gellert Hill is one of Budapest many cave attractions, the cave church. This was founded in 1926, but being hewn into the rock leaves it feeling much older than that. It was blocked up by the Soviets but reopened in 1989 and is now fully functioning again. It’s open every day and admission is free. Other caves that might be worth a visit are the Labyrinths under the castle and the Hospital in the Rock Nuclear Bunker museum, although these are steeply priced at 2500HUF pp (£7pp)and 4000HUF pp (£11pp) respectively. Budapest is a spa city and there are dozens of places to spend a relaxing few hours. One of the most striking is the much-visited Gellert Baths. The whole building is ornate and art nouveau making it a very Hungarian experience. A day ticket will cost about £15, a little more if you want a private changing room. A much bigger spa is the Szechenyi baths. Prices are similar to the Gellert Baths, but it has 21 pools, meaning it’s usually less crowded. You can also buy a visitor ticket for about £5 for those who don’t want to get in the waters but either want to see the complex or accompany a bathing friend. There are many museums and galleries in Budapest, but if you only have a few days, I’d really be picky about which you visit. Most of them are fine, but similar to what you will find in other capital cities. For a unique experience, I would recommend the bleak and affecting House of Terror. Obviously, don’t go here if you have no interest in Hungary’s tumultuous 20th century and just want a fun weekend away, but if you want to get a handle on the various lurches right and left that the population were subjected to, there is no finer museum. If a nice walk in a park sounds appealing, Memento Park is worth a visit. A home for all the Soviet statues that history rendered obsolete, it’s well worth the £4 entry fee. It’s a little way from the centre, about 15 minutes by bus, but the website has excellent instructions on how to get there. A night out in Budapest can take some very different directions. Ruin bars are hugely popular, and essentially just bars thrown together haphazadly in abandoned warehouses and factories. It gives a night out a hip edge, and feels very industrial. The other side of the nightlife is the Opera House. While the good seats rival the UK for cost, the cheap seats are just £5 each- they do sell out a few weeks in advance though so plan ahead if you want to see inside the grand opera house. The website is very clear which operas come with English subtitles and which are only with Hungarian. The singing, of course, is usually in Italian or French. Budapest is a small city, although a hilly one, so you probably won’t need to use transport too much. For those who do, it has an excellent system of buses, trams and metro lines that get you everywhere. Single tickets are only about 90p, but a travel card can take some of the worry about how and where to buy and present tickets. A 24 hour travel pass can be bought for £5pp, with a great discount coming if you are travelling in a group, as it’s just £10 for 2 – 5 people. A 72 hour pass comes in at £12pp, and probably won’t be worth it. You can also buy books of ten journeys for about £8, which may suit more people better. Please note, the funicular up the hill to the castle is not included in the travel pass. In summer, some historic transport also runs for tourists and a separate pass is available for these trams, buses and boats. 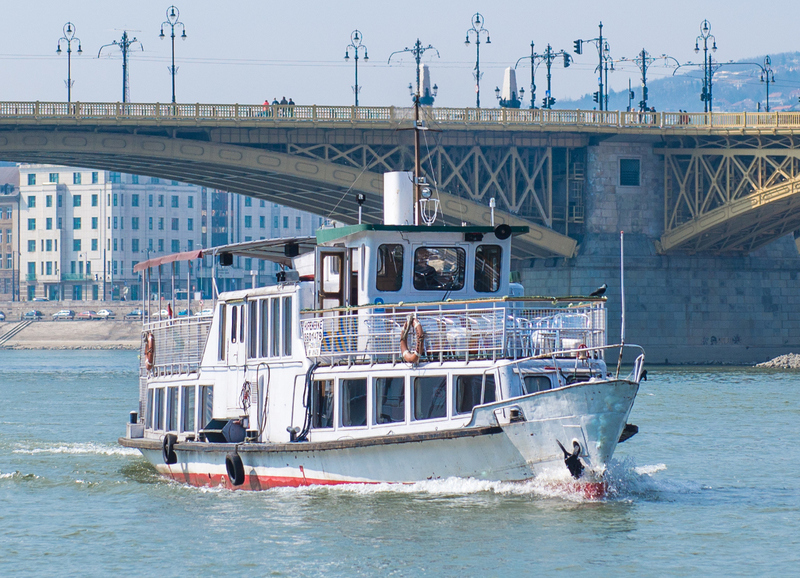 A single ride is about £1.50, or £2 for the boat on the Danube. Next Post How much should I budget for a weekend in…Belgrade? Just be careful to avoid the following Budapest scam to keep your budget on the lower ends!